We’ve completely rebuilt the WooCommerce Global Payments integration, and version 2.0 adds some of the most advanced payment capabilities for WooCommerce. This streamlined integration now supports the latest that Global Payments has to offer. Getting started with your payment gateway shouldn’t be a headache — we’ve streamlined the plugin settings and adding debug mode to help diagnose any issues that may arise. Need to authorize orders instead of charging them immediately? You have a lot of options to support your workflow. Charge virtual orders but leave shippable ones authorized; enable partial & multiple captures; or automatically try to capture orders when they transition to a paid order status. We’ve vastly improved the checkout form for Global Payments, adding card type detection, retina card icons, and card number auto-formatting. Process a lot of orders placed via mobile? 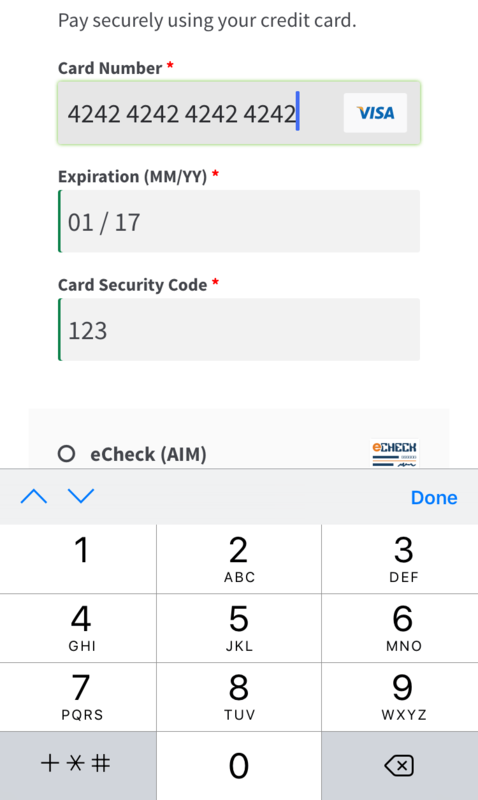 We’ve got you there, too: users on mobile devices will be presented with numeric keyboards automatically for simpler checkout. We’ve improved error handling for checkout as well — Global Payments now uses detailed decline messages at checkout to let customers know why a payment was declined (if the plugin gets a useful message back from Global Payments). This helps your customer take action to either update the payment information they’ve entered, or use a new card. 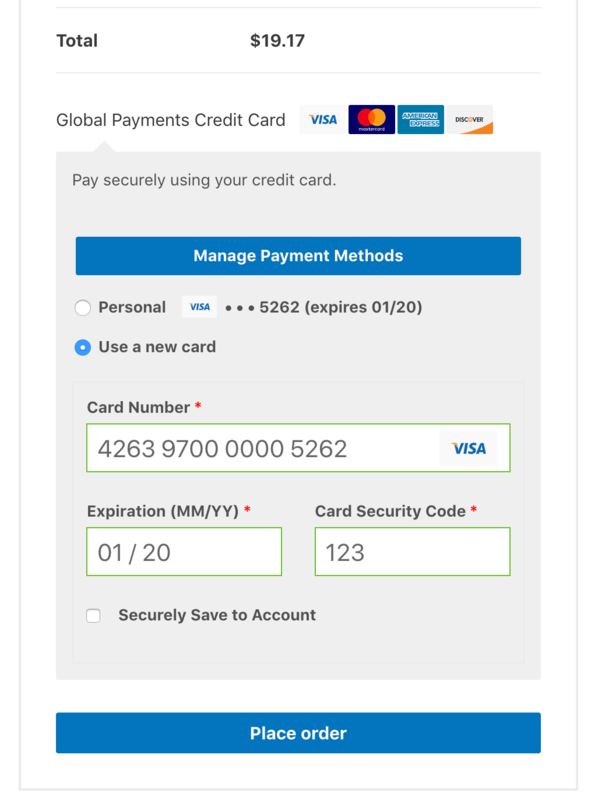 While Global Payments had supported saved payment methods for some time (helping it to support WooCommerce Subscriptions), we’ve added some improvements to saved payment methods in version 2.0. Customers can add and manage saved payment methods from the account area — they no longer have to add cards via checkout! Saved cards can even have a nickname so your customers can differentiate between cards easily. We’ve also added support for WooCommerce Pre-orders, so saved cards can be used for pre-orders that are charged upon release. You may also find the need to manage saved cards for a customer. Version 2.0 of WooCommerce Global Payments includes an admin-facing token editor so you can see the Payment Profile ID and saved methods for any customer. New features can add management overhead to your store as you use them — version 2.0 of WooCommerce Global Payments also looks to streamline store management by adding some highly-requested admin features. 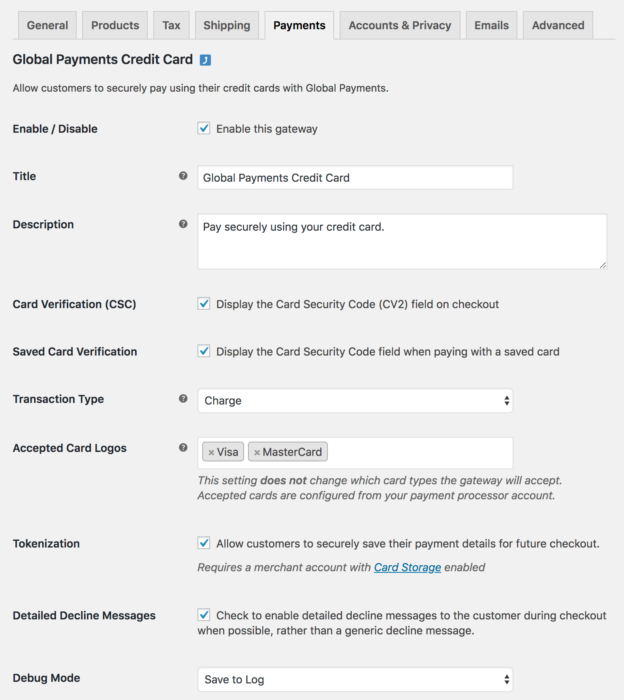 WooCommerce Global Payments now supports capturing payments from within WooCommerce. 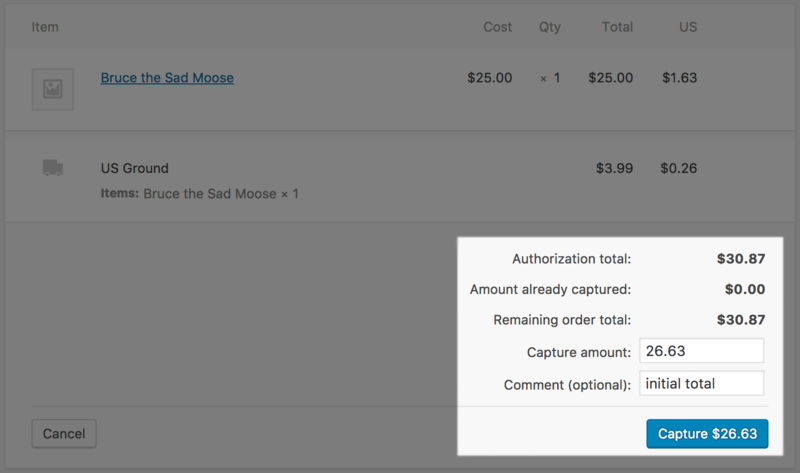 For any order placed through Global Payments, if you’ve authorized payments rather than charging them immediately, you can now capture that authorization from within your store admin. You can read more about payment captures here. Payment captures can be done in bulk for all orders as well. You don’t need to worry about selecting particular orders, as the plugin will simply skip those that are not eligible for capture. Finally, partial captures are supported, too! You can process multiple captures for an order, up to 100% of the authorized total. 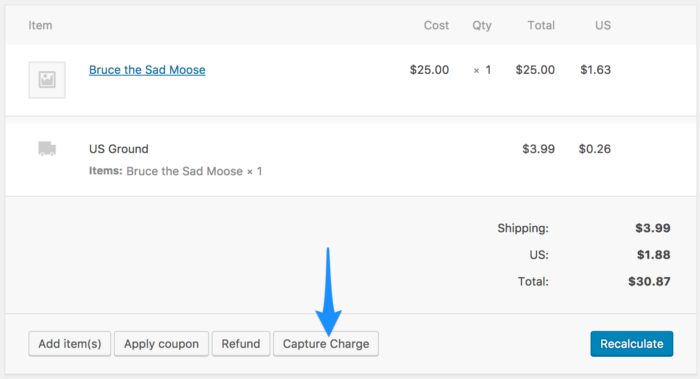 This supports merchants who need to charge items up front, then capture shipping charges later. Just like captures, you can now refund transactions from WooCommerce as well. 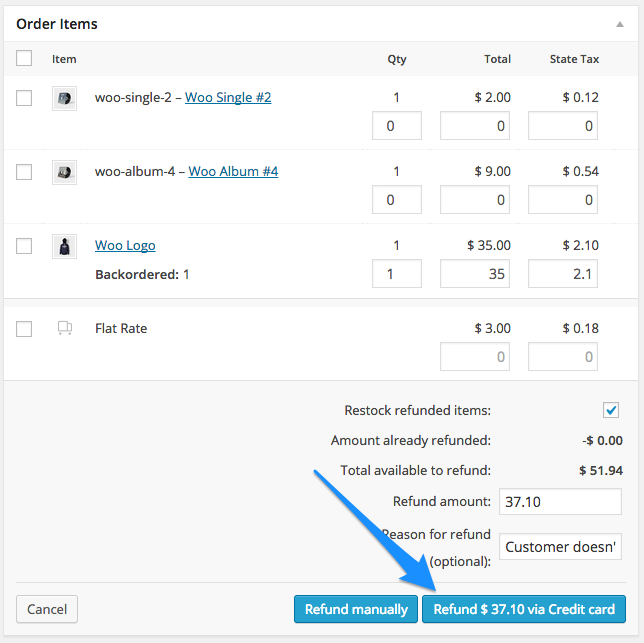 When processing a refund, you’ll be able to use “refund via credit card” instead of manually processing a refund in WooCommerce, then duplicating your efforts in your Global Payments account. You can read more about refunding here. Voiding transactions is done the same way — if you perform a refund for a transaction that’s only been authorized (not captured), then a void is processed automatically in Global Payments.